A quant strategy is not an easy ride. You have to be willing to let go and trust the data and process. That includes ignoring the desire to go in and meddle with the stocks and portfolio. In the validation and evaluation report pdf of the Action Score, there's a section that deals with this scenario. 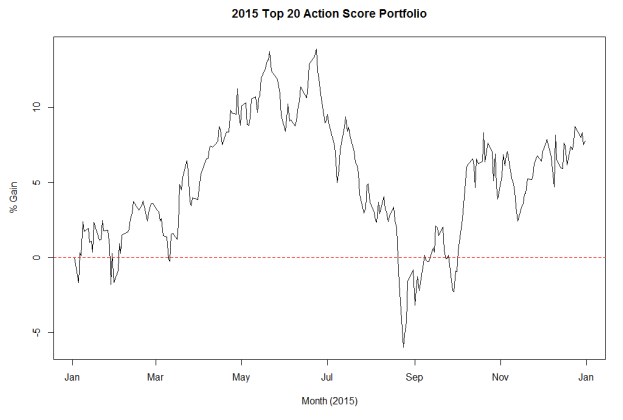 In 2015, the top 20 Action Score model portfolio looked like this. The portfolio ended the year with a 7.8% gain, not factoring in commissions, slippage or other trading fees. But in order to achieve the 7.8% by the end of the year, you would have had to sit through a 20% in your portfolio before it recovered. The markets got rough during this brief period, but not as bad as the 20% drop. "Would I be able to sit through >20% losses to obtain >30% eventual returns for stocks like HLF and MOC? Or would I excessively worry about stocks like PPC, THTI, or OUTR, which had >45% max losses? If we aren’t able to do so, then the variability inherent in the annual buy and hold method of the Action Score system would for sure lead us to losses or, at best, substantial under-performance, since we’d always be selling at the lows." Sitting through these drops is tough, but focus on the process and not the emotions. 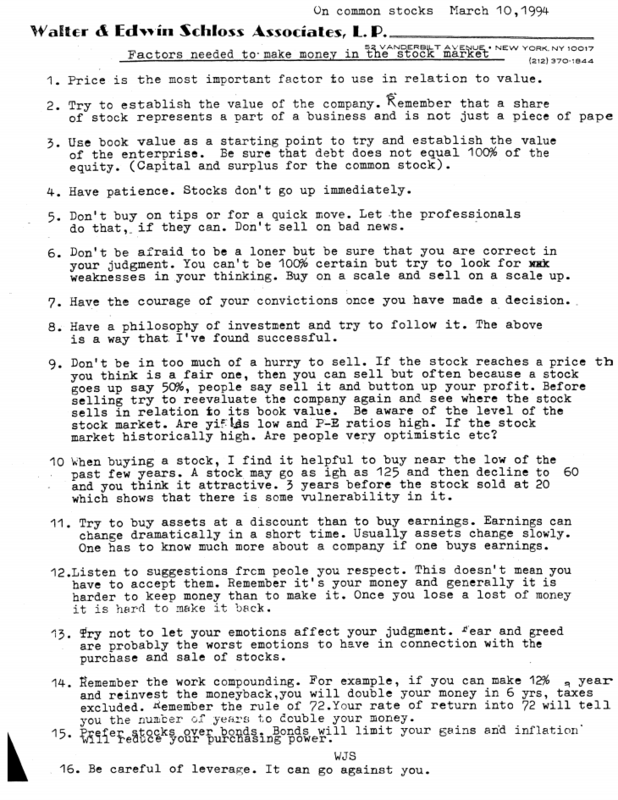 Here are Walter Schloss' rules for investment success. Next, we finally work on the details of putting together a portfolio. Lots of step by step instructions and details involved. I know it's what you've been waiting for so check the next tutorial coming your way. Previous article: [OSV Tutorial] "The valuation chart and Action Score contradict each other?!?"